The Clarisonic is totally, totally worth it. We say this not only as cheapos, but as people who have spent at least as much as a Clarisonic costs on bargain face brushes, scrubs, and professional facials. That said, there is absolutely no need to either pay for the full, four-speed, fancypants version or pay full price for the Clarisonic Mia, which is the brush you should get if you're going to shell out the cash for one of these brushes. Here's why: Exfoliation. The Clarisonic brush, which relies on minute vibrations to remove dead skin cells, dirt, and debris, does it better than a washcloth and every skin brush system we've tried. Pretty much the only thing that compares results wise is getting an actual facial from a professional, and those aren't cheap. If you get two facials a year, you're probably spending $200 annually on skin care. That's as much as the full version of the Clarisonic skin care brush, which we've seen advertised for anywhere from $160 - $250. The Clarisonic Mia, on the other hand, generally retails for about $119. So if you get facials, and you cut out one a year, you can totally afford it. The Mia is smaller, more portable, and only has one brush speed. Like the full version, you can buy replacement heads of varying softness. 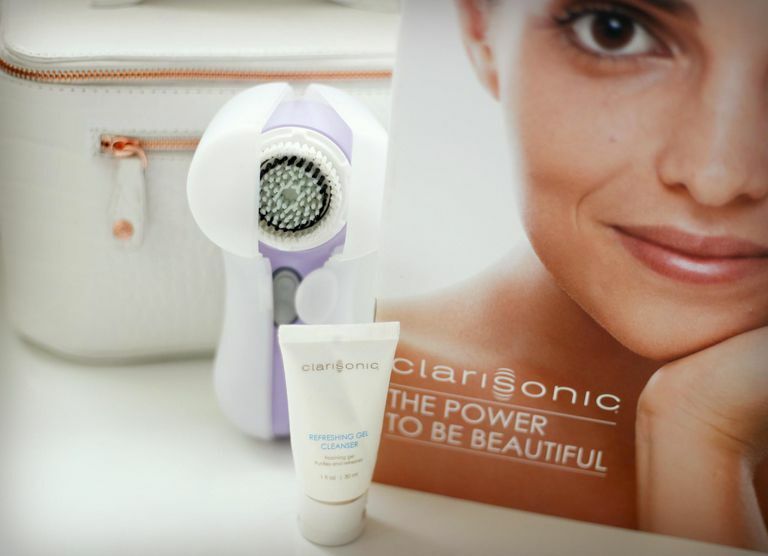 One day after starting to use the Clarisonic Mia, your skin will be smoother to the touch and look softer and fresher. Moisturizer absorbs much more quickly and will seem generally more effective. A few weeks after using it twice a day, as recommended, you'll see a general improvement in the quality of your skin. Needless to say, while this brush may reduce the appearance of pores and fine lines, nothing gets rid of them. Your pores are your pores; your lines are your lines. Nothing short of surgery will get rid of 'em, but you can improve their appearance by carefully cleansing and moisturizing your skin. And, most importantly of all, protecting it from the sun.